We had a lovely time during our entire trip. I liked our route and all the restaurants that we went to. Our skipper, Sinisha made the trip a delight. He was insightful and very easy going. I only wish that the boat had some air conditioning as it got difficult to sleep on hot nights. I will definitely be using your services again in the future when I come back. The whole crew (of the gulet Adriatic Holiday) was perfect and took very well care of us 8. Ante, the captain is very professional, the itinerary was conformed to what we wished - a mix between quiet and animated places - and the children pretty much enjoyed the water sports part (scuba diving, snorkelling, tube, wake board and jet ski). The food was also prepared with care. Absolutely loved our trip on the (gulet) Libra. The boat was in excellent condition and the crew was fantastic. We were very pleasantly surprised by how the food was on the boat. We highly recommend the entire trip. The word "Altair" in Arabic means "bird" and we truly had a flying time with the beautiful weather and great crew of gulet Altair as led by our Captain Dare and our great chef Tomo with the assistance of the capable Mateo. This was an unforgettable week for our family and we will definitely repeat it hopefully with this same crew. The star Altair will always lead us back to Croatia. The boat (Sun Fast 43) is very well maintained even though it's quite old. You take very good care of this boat so never mind if it was built in 2004. Its equipment is also very good. All the spareparts are there and a very good first aid kit. I had also good support from the charter base. We were very pleased with the overall sailing. We did not have any problems with the boat, everything was as it was agreed. Mislav was a great skipper and he safely led us through the troubled sea we had that week. Communicative, unobtrusive and interesting are all his virtues for which we decided to have him for skipper this year again. He fitted well and handled well with all of our requirements. 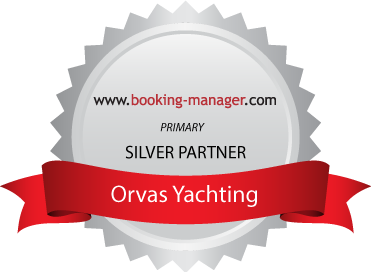 Thank you and all the team in Orvas for your organization and professionalism.